Here a little primer on celery and celery root. Both are used in cooking and eaten raw. The celery root is a little starchier and makes a great mash. We don’t see it or identify it’s flavor in many of the recipes that use celery, yet it’s very prominent in food we eat as an important aromatic. It’s seldom seen in its original form, however, other than on crudité platters, stuffed with cheese or chopped up in a salad. Celery is an essential ingredient in many recipes. The French use mirepoix, a combination of onions, carrots and celery (ratio of 2:1:1) as the base for sauces, soups, stews and braises. Cajun cuisine uses a variation known as the holy trinity, a combination of onion, green pepper and celery. Celery tastes amazing. I always find myself noshing on a stalk when I’m chopping up vegetables. I particularly like the hearts and the leaves. They’re sweet and celery, in general, I find very refreshing. Celery is available year round. Look for firm, nicely ridged stalks that have a bright green color; those with dark green stalks may be bitter. 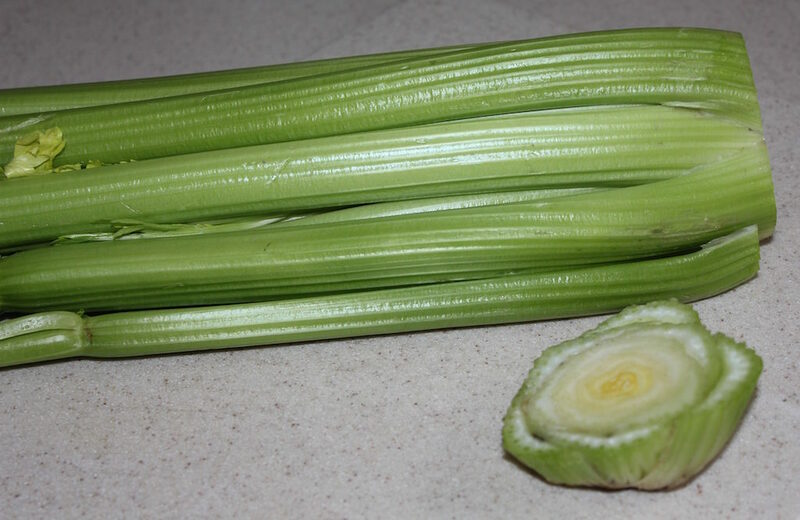 The inner stalks, often sold separately as celery hearts, are more yellow-green with leafy tops. Chop them up for a salad and use them in any recipe that calls for celery. To store, cut off the bottom, separate the stalks and rinse thoroughly. The bottom of the stalks, outer stalks in particular, are dirty. Place in a plastic container or a plastic bag lined with paper towel and close tightly. The paper towel absorbs the excess water and keeps the celery fresh and crisp, not swimming in water, which causes premature rotting. I have a Tuppeware crisper that I bought over 40 years ago and it keeps my celery and carrots crisp and fresh for a couple of weeks. Unfortunately, a search of their website doesn’t show anything even close to what I have. 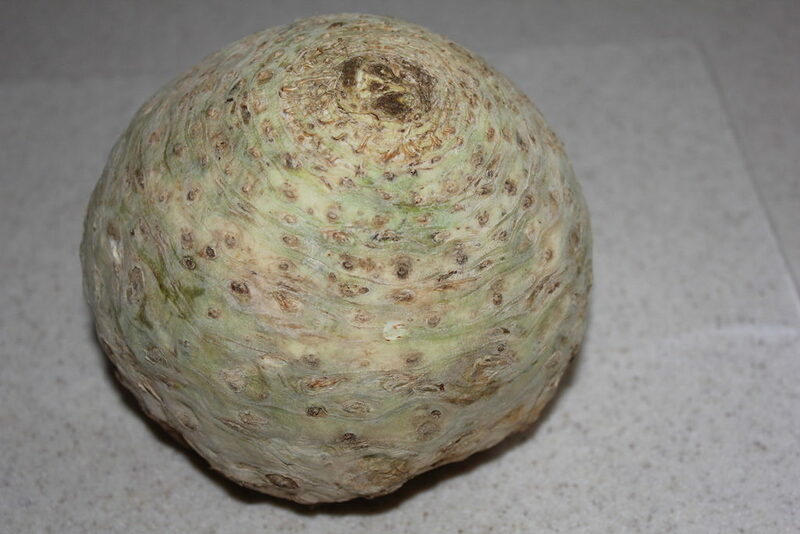 Celery root, also known as celeriac, is available from November through April, looks like a rutabaga, only lumpy, with lots of nooks and crannies. It is not the root portion of celery; it is a separate vegetable within the same family. My brother lives in Germany and I remember his frustration with “European” celery. He kept saying it wasn’t the same. I didn’t get it at first, then I asked him to describe it and realized it was celery root. Celery is native to Europe and celery root is preferred over celery. Quite the contrary here. He can never find “American” celery and eats a ton of it when he comes to visit. This rutabaga has been trimmed, but the round spots had root ends sprouting out. 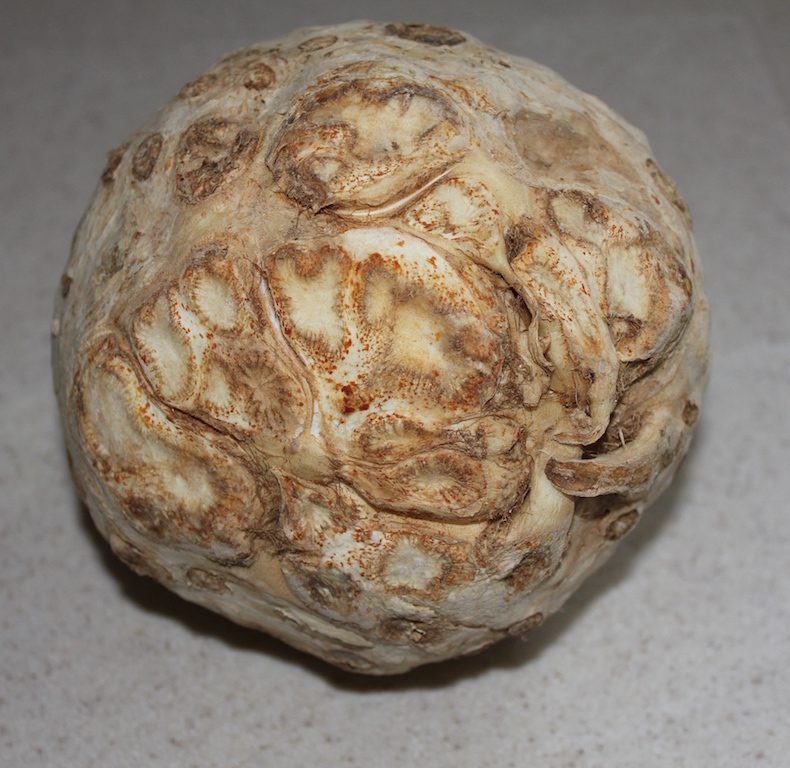 Look for a celery root with firm flesh and weight. These characteristics indicate freshness or good water content. Celery root has a green leafy top, similar to carrots, but you rarely see them here in the states. Store whole and dry in the refrigerator crisper drawer up to one week. To use, cut off the top and the bottom and then pare the sides with a sharp knife. Celery root oxidizes or turns brown when exposed to oxygen. To keep the white color, place in water or toss with a little lemon juice. Read our blog on how to cut celery root.